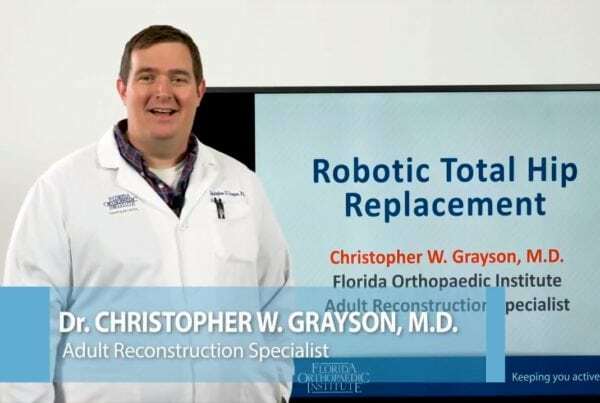 Florida Orthopaedic Institute uses the latest advances in computer and robotics technology to support surgeries. 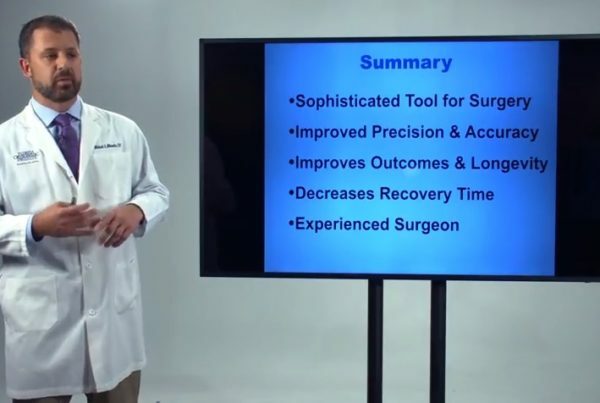 Known by many terms (computer-assisted surgery, computer-aided surgery, computer-assisted intervention, image-guided surgery, surgical navigation and robotic surgery), these cutting-edge technologies help our surgeons perform more precise surgeries, with faster healing and improved outcomes. 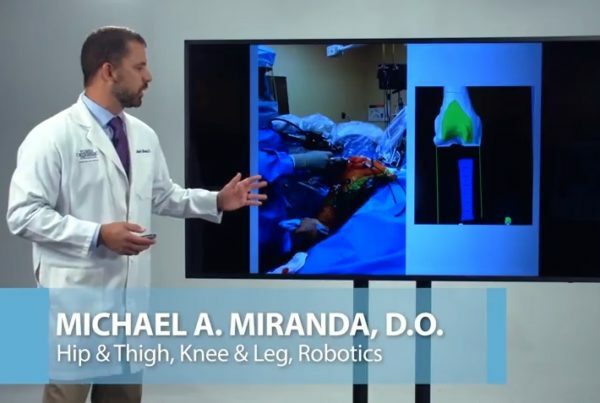 These technological advancements are revolutionizing the field of orthopedics. Precise models of the patient’s surgical area are made using imaging technologies such as computerized tomography scans (CT), magnetic resonance imaging (MRI) or x-rays. The information is uploaded into the computer system. These 3-D datasets help guide the surgeon both before the surgery (pre-op) and during surgery (intraoperative). They provide detail of soft versus hard tissue structures, with the computer differentiating and visually separating them. During surgery, image-guided navigation gives surgeons better orientation and higher precision. When using a surgical navigation system, the surgeon uses special instruments which are tracked by the navigation system. The position of a tracked instrument is shown on images of the patient as the surgeon moves the instrument. The surgeon uses the system to ‘navigate’ the location of the instrument. The system provides feedback of the instrument’s location, especially in situations where the surgeon cannot see the tip of the instrument such as in minimally invasive surgeries. In robotic surgery, the surgeon uses a surgical robot that has been programmed to carry out certain actions during the preoperative planning procedure. 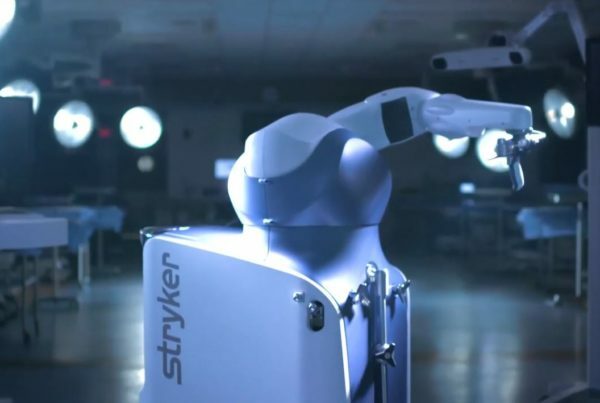 Surgical robots used in orthopedic procedures are mechanical robotic arms that are computer-controlled. 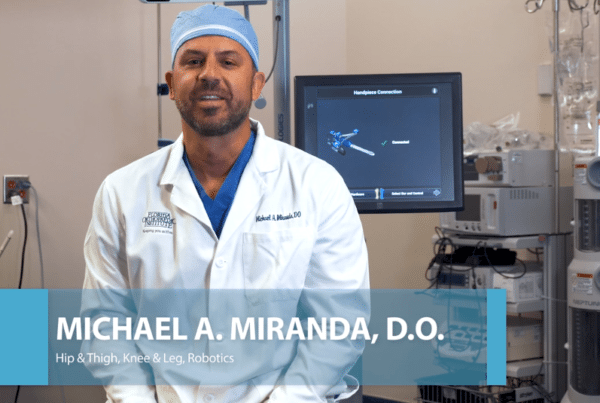 Florida Orthopaedic Institute has two of the latest technologies – the NAVIO® Surgical System and the MAKO® Robotic-Arm Assisted System. 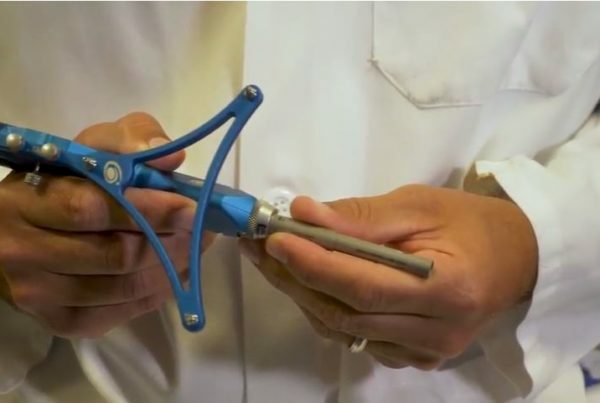 The NAVIO Surgical System uses robotics-assisted technology to help tailor partial and full knee replacements to the unique shape and motion of each patient’s knee anatomy. 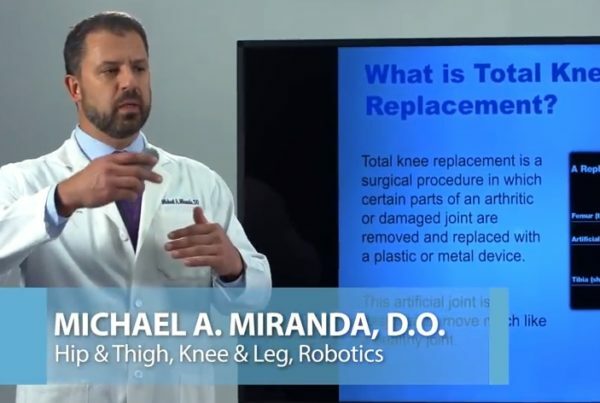 For partial knee replacements, replacing only part of a knee joint can be more challenging than replacing the entire joint. A partial knee replacement needs to have an exact balance between the new implant (made of metal and plastic components) and your natural anatomy made of bone and cartilage. Precise positioning of the implant for each unique patient is one of the primary challenges of all partial knee replacements. 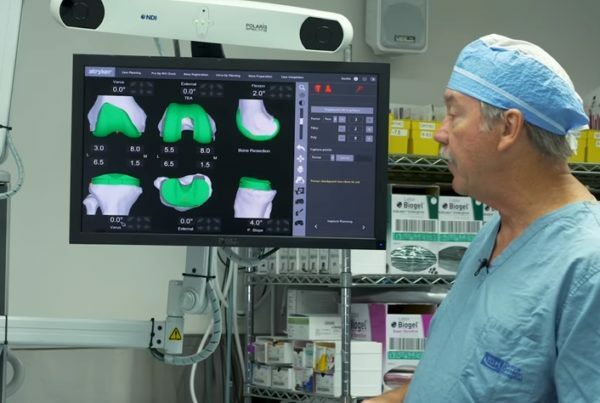 The NAVIO Surgical System uses both computer and robotic assistance to accurately map the surface of your knee, align your implant to your anatomy, and physically remove the bone necessary to place your new implant. 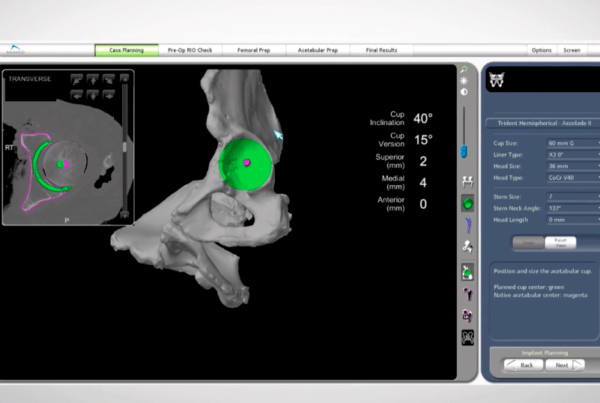 The NAVIO system collects anatomic and alignment information without the need for a computerized tomography (CT) scan, another patient benefit. 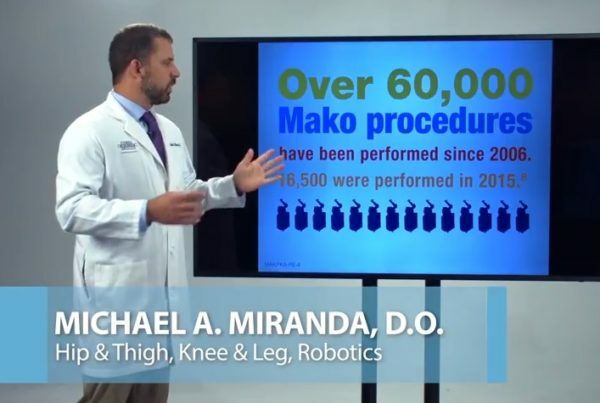 The surgeons at Florida Orthopaedic Institute are transforming the way partial knee, total knee and total hip replacement procedures are performed using the Mako System. This new approach to joint replacement has a higher level of patient-specific implant alignment and positioning. Virtual 3D models allow surgeons to personalize each patient’s surgical plan. The surgeon creates a patient-specific 3D plan and performs joint replacement surgery using a surgeon-controlled robotic-arm that helps execute the procedure with a high degree of accuracy. During surgery, the surgeon can validate the plan and make any necessary adjustments. 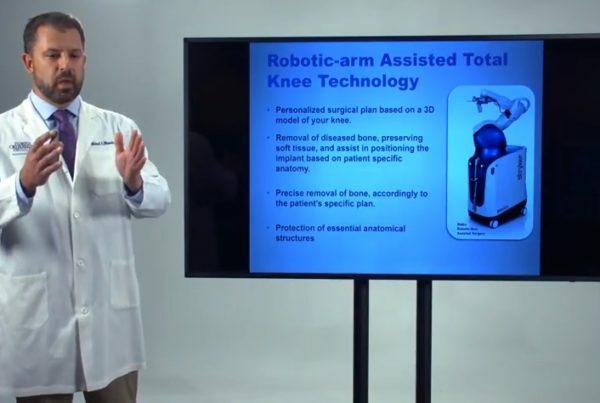 Studies have shown robotic-arm assisted partial knee replacement can be two to three times more accurate than manual partial knee replacement procedures. Dr. Gustke and Dr. Miranda discuss the technology of the MAKO and NAVIO robotic arm assisted surgery. Learn more about the benefits of robotics.